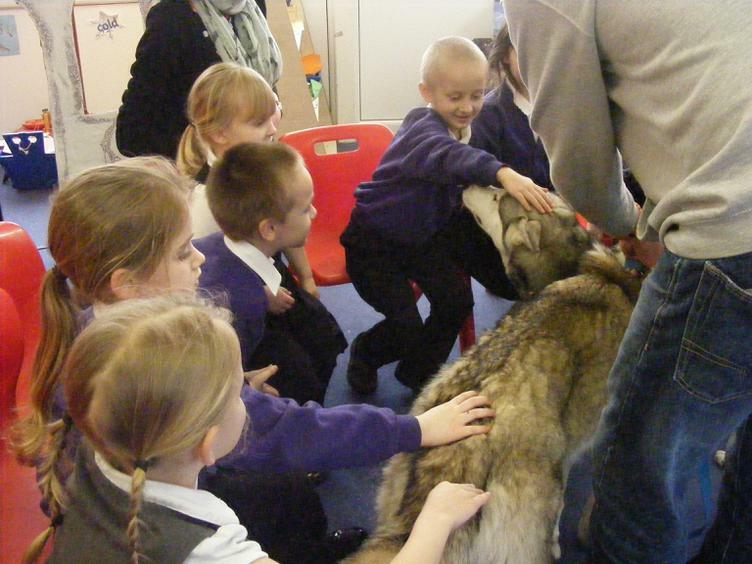 Year 1 have had an extremely exciting afternoon. 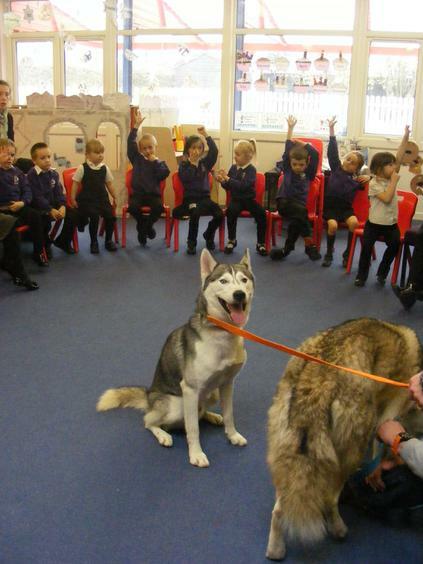 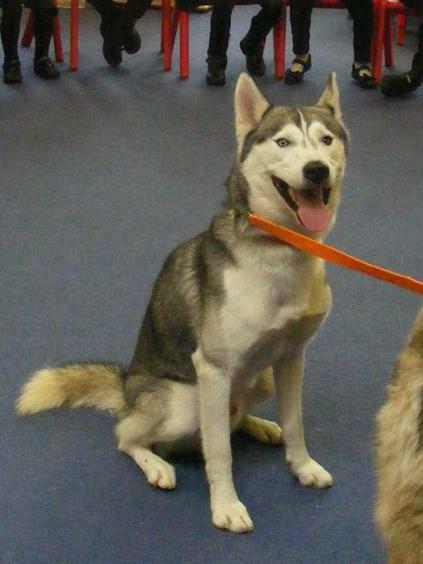 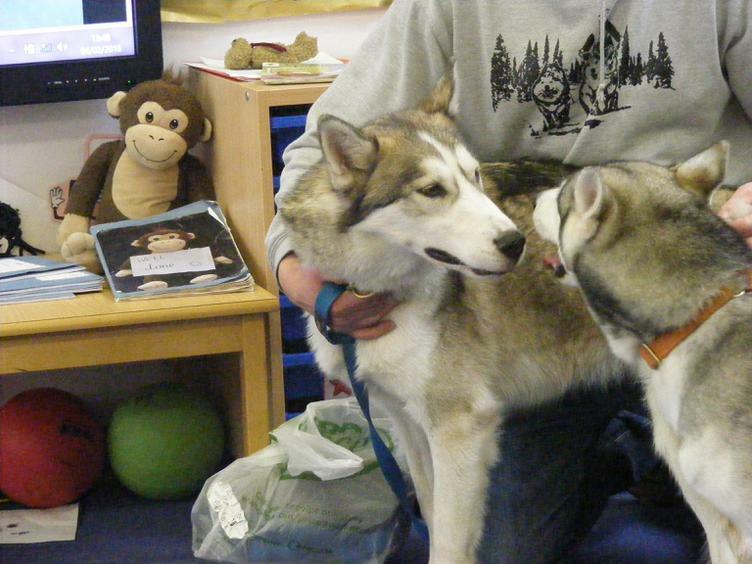 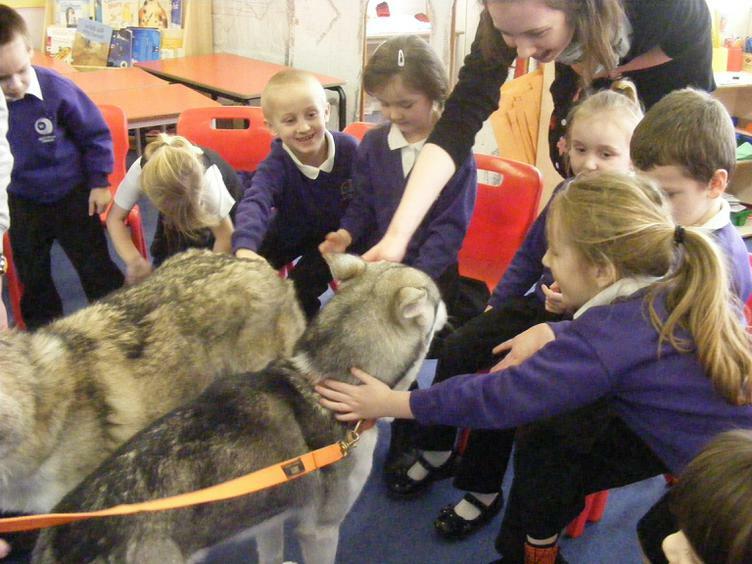 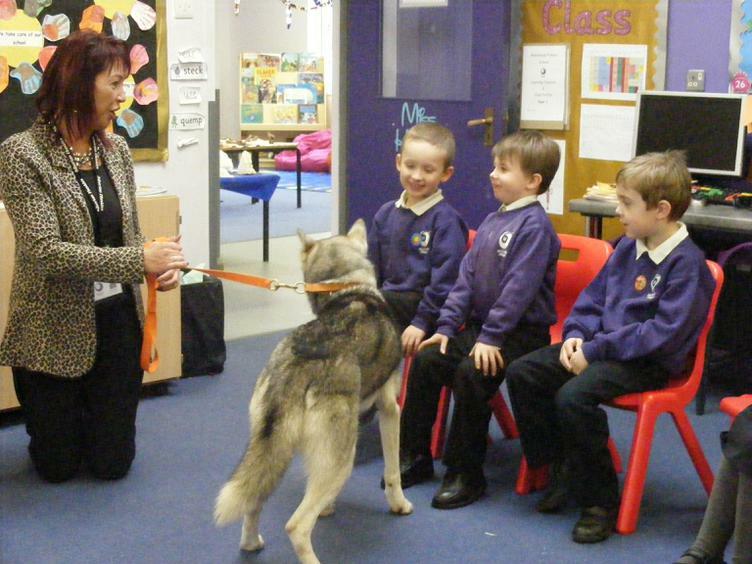 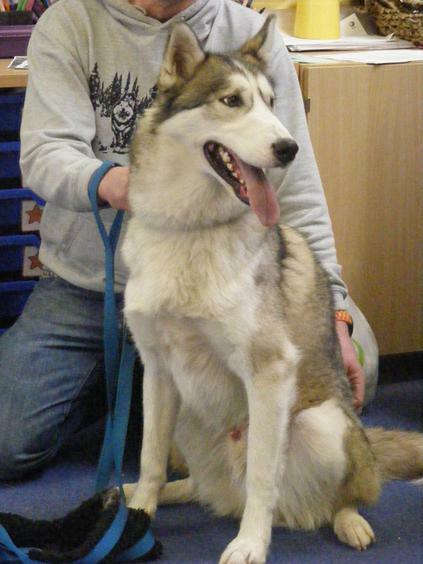 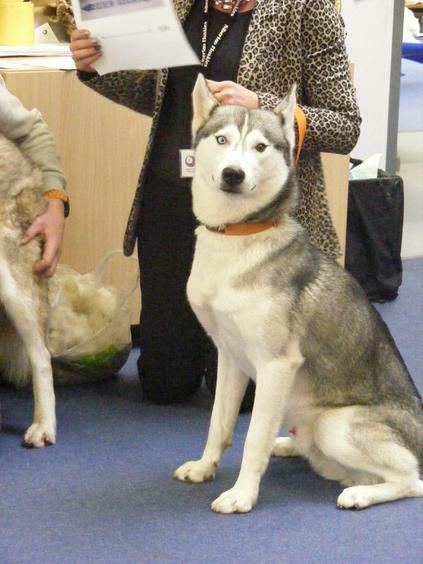 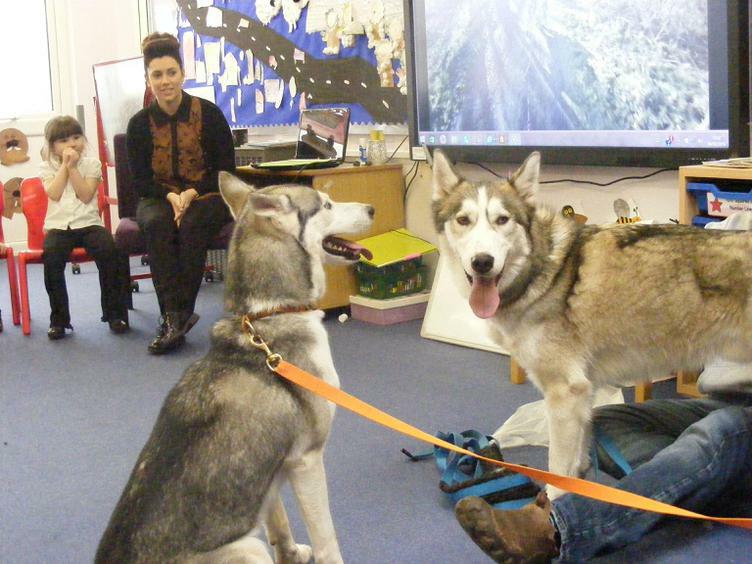 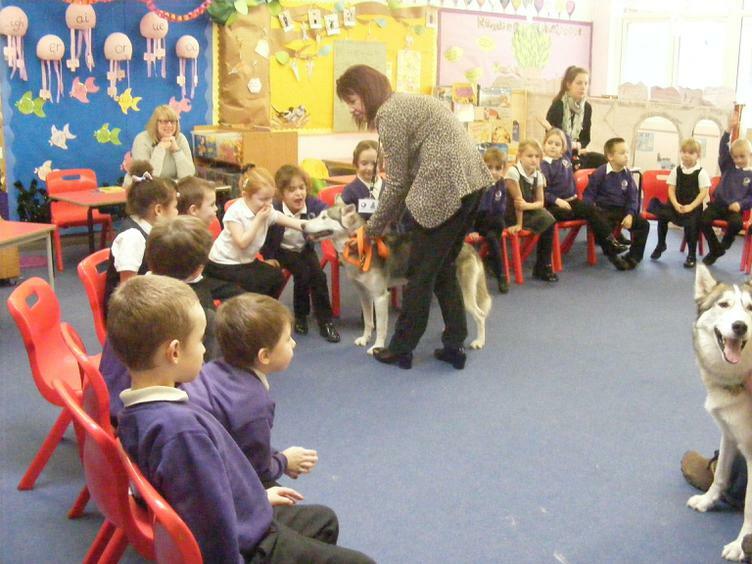 We have been learning about Arctic animals and were lucky enough to have two huskies, Hawk and Bowie visit us! 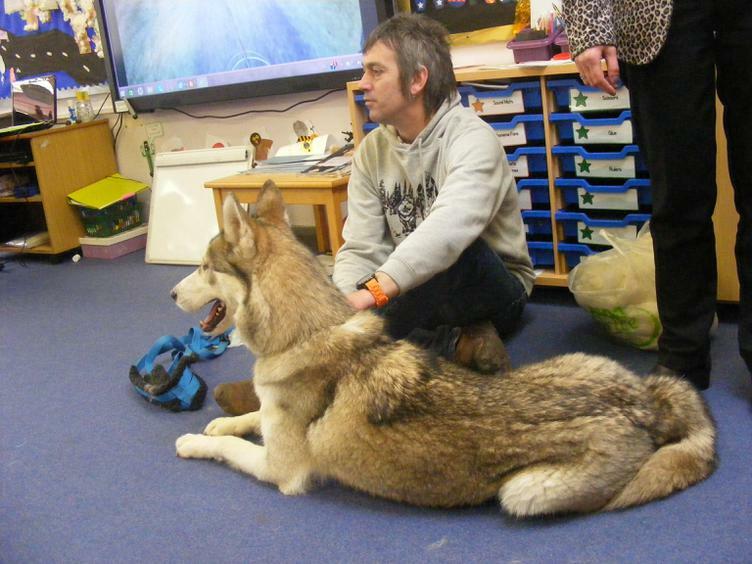 Mr and Mrs Robinson brought Hawk and Bowie in to meet Year 1. 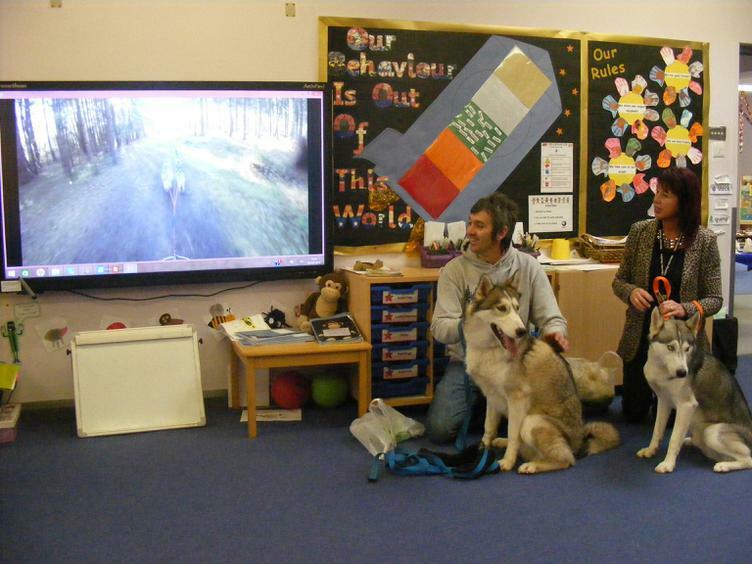 They told us all about how they race and the special words they have to say for left and right. 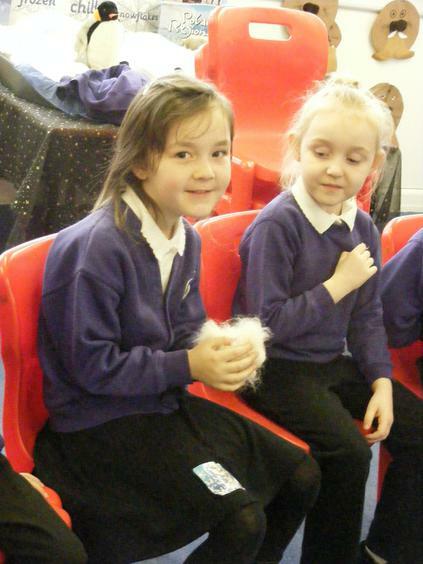 We learnt lots of interesting facts including how much hair they lose in the warmer weather and how they like to play. 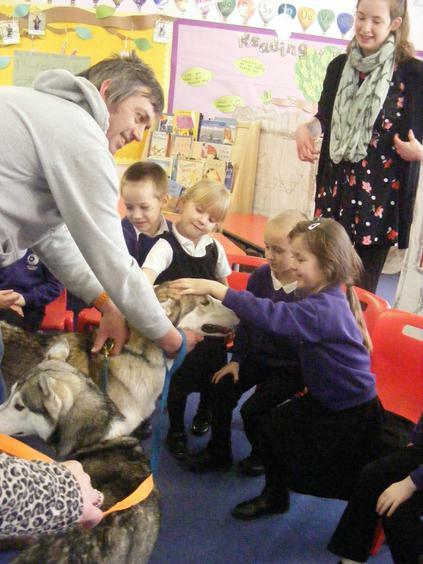 This was an excellent learning experience and the children were relationship bumblebees being kind and gentle with Hawk and Bowie.